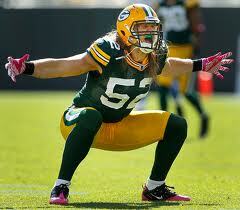 Clay Matthews green baie packers 25170475. . Wallpaper and background images in the Green baie Packers club tagged: photo. This Green baie Packers photo might contain tailback, ouvrier de ligne, monteur de ligne, monteur de lignes, parieur, and punter.